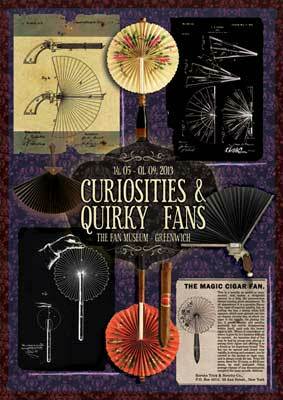 The Fan Museum is the only museum in the UK devoted entirely to every aspect of fans and fan making. Home to a collection of more than 3,500 predominantly antique fans from around the world, visitors can enjoy the designs of these items which have served many purposes over the centuries. 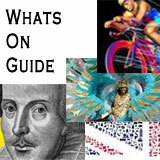 As cooling & winnowing devices, ceremonial tools, fashionable accessories, status symbols, commemorative presents or advertising giveaways, there is much to discover about the fan. 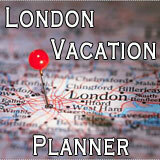 Situated in the heart of historic Greenwich, a UNESCO World Heritage Site. 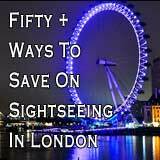 Just minutes walk away you can find a host of other historical sites and attractions, including the Cutty Sark, National Maritime Museum and Greenwich Park. 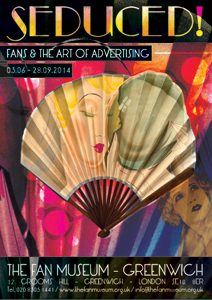 The story of The Fan Museum begins with Helene and A.V. Alexander, a husband and wife team, who opened the museum in 1991. It is Helene Alexander’s collection that forms the basis of the museum’s holdings, which are housed within two adjoining Georgian town houses. Dating to 1721, these Grade II listed houses have been lovingly restored to their former glory, correct in every 18th century period detail. As with any fashionable Georgian house, there is also a beautiful orangery. Painted by Jane Barraclough, you can scour the walls where in amongst the foliage and flowers you will spot tiny surprises of wildlife. On the ground floor, discover the permanent collections which include important fan leaves of the seventeenth and eighteenth centuries. Examples include an extended fan leaf of Louis XIV, king of France, with his court entourage of 1681, commemorating the 20th birthday of his only legitimate son. Continue through into the Green Room to learn more about how fans are made and see examples of finely engraved and carved ivory, tortoiseshell and mother of pearl fans. Within this collection you will also find works by renowned artists Paul Gauguin and Walter Sickert, alongside some more unusual designs, such as telescopic fans and the ‘Swiss Army knife for Corseted ladies’. 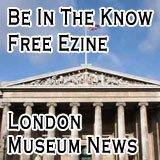 The first floor is devoted to special exhibitions, which change every 3-4 months. Drawing on both the museum’s extensive collection and those of others, these exhibitions delve into the depths of the history of the fan. Situating the fan within their historical, sociological and economic contexts, you will also find fine examples of art works and fashion amongst a wide variety of other objects on display too. Recent exhibitions have included themes from sports to advertising and Art Nouveau to the contemporary fan designer Sylvain Le Guen. Browse for unique gifts, mementos and books in The Fan Museum shop, or relax with an Afternoon Tea in the Orangery (Tuesday and Sunday afternoons only). 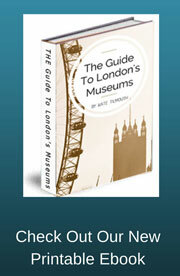 The Fan Museum really does have much to offer - even the toilets are award winning! 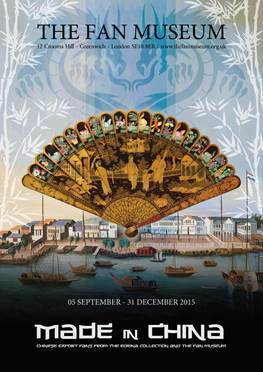 Saturday 05 September 2015 until 31 December 2015. This exhibition will showcase the very best of our own collection of Chinese export fans, along with highlights from the Edrina Collection. FANS OF THE BELLE ÉPOQUE will evoke the extravagance and theatricality commonly associated with this alluring epoch (c. 1890-1910). 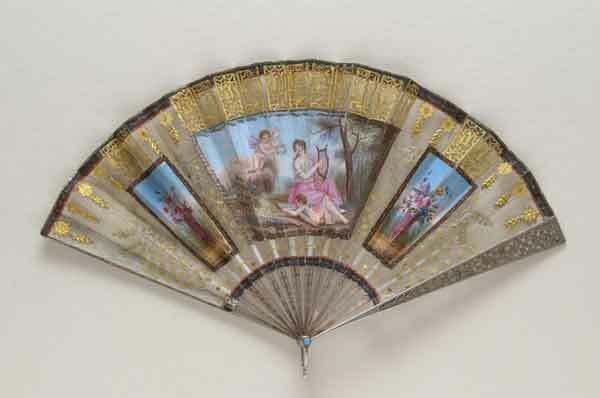 The exhibition will feature a spellbinding assortment of exquisitely-crafted fans –the types favoured by wealthy American heiresses and the cream of European society at this time. The very best of the Museum’s collections of late nineteenth and early twentieth century fans will be on show, including: lavish examples from the go-to fan makers of the period, DUVELLEROY & KEES; an array of beautifully conceived Art Nouveau confections, and exuberant designs by gifted painters such as ABBÉMA, LASELLAZ, and BILLOTEY. will feature fans and fan leaves designed to commemorate significant military campaigns, battles and victories associated with the period leading up to (and following) the Battle of Waterloo in 1815, at which the French were finally defeated by the Allied armies after twenty three years of fighting. The exhibition will include fans printed with portraits of heroic figures like Nelson and Wellington and fan leaves printed in England but destined for the overseas markets, such as those celebrating the accession to the throne of the Spanish King, Ferdinand VII. Napoleon Bonaparte and his troops, too, feature: depicted often in typically defiant mood on French propaganda fan designs. Away from the ‘battle action’ the social scene at this time revolved around glittering balls and assemblies – events at which ladies carried elegant fans decorated with a plethora of sequins and delicately painted with classically themed vignettes; visitors can expect to see a glittering array of such styles dating c. 1800 - 1820. Interweaving historical narratives with fashion and decorative art objects, the exhibition offers a unique perspective on a period often overlooked in popular fan historiographies. 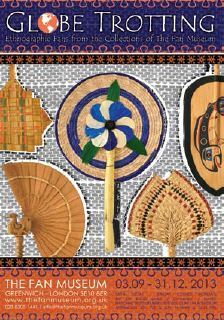 The exhibition includes an eclectic array of hand fans originating from regions such as the Islands of the Indo/Pacific region, the Caribbean and the African continent. An exhibition celebrating the ‘genius’ of fans, from the sublime to the bizarre. Explore an alternative history of fans, discovering how fan-makers have combined artistry, imagination and plenty of humour to create fans that still amaze and delight. 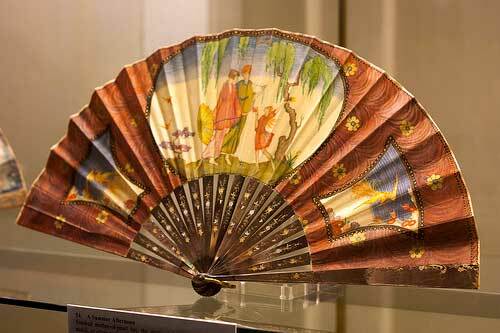 From a rare 17th century ‘multi-image’ fan, to fans that transform into parasols and guns, be mesmerised by the curious and quirky side of the fan. 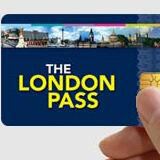 Admission to the exhibition includes entry to the permanent collection, featuring works by Gauguin, Dali and Sickert. 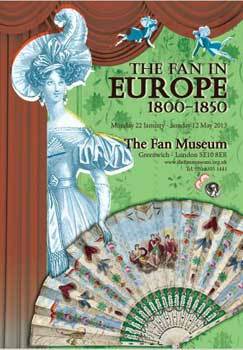 This exhibition includes a delightfully diverse array of fans, such as a intricately pierced little brisé fan from the regency and Franco-Spanish fans from a later period decorated with hand-coloured engravings.